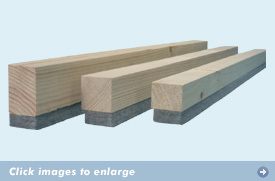 Danskin Reflex Bearers comprise softwood timber 47mm (Nom.) wide by 1800mm long with the unique “double density” fibre resilient layer adhered to the underside. They can be preservative treated if required and the standard uncompressed heights are 53mm (Nom. ), 62mm (Nom.) and 78mm (Nom.) Other sizes are available as a special order. On average it is expected that the resilient layer will compress by around 4mm under normal loading. 6mm thick preformed ‘L’ shaped acoustic foam supplied in strips 1.8m long packed in bags containing 100 linear metres. The innovative ‘L’ shape makes it easy to fit and one size fits all floors. 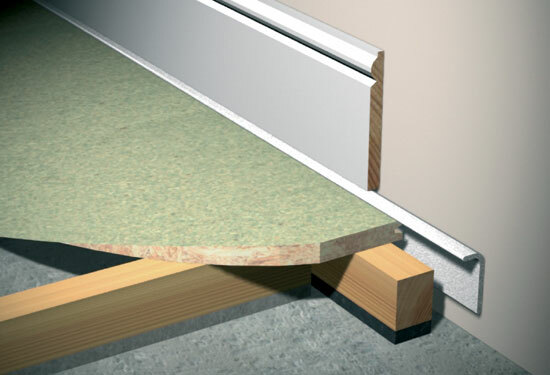 It is lightly trapped between the bottom of the skirting and the top of the flooring board with the excess neatly trimmed off. 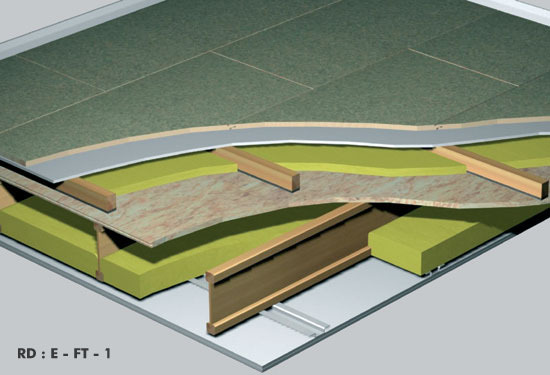 It is an essential feature of effective floating floors that they deflect vertically in order to absorb impact energy and therefore reduce sound transmission. However excessive deflection under areas of high load such as kitchen and bathroom furniture is not desirable. 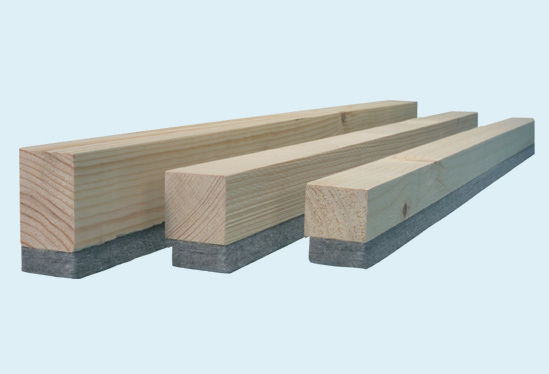 While this can sometimes be lessened by reducing batten centres or using double rows of Danskin Reflex bearers, limited numbers of high density foam battens can sometimes be used in these local areas. 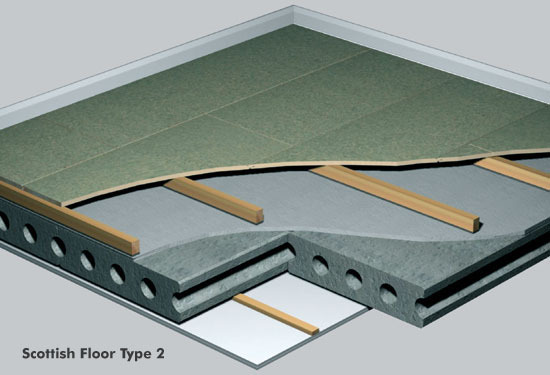 On concrete subfloors High Load Bearers are also recommended for use at room perimeters. As High Load Bearers have a lesser acoustic performance than Reflex Bearers a warning message regarding excessive use is printed on the top surface. Danskin High Load Bearers are manufactured to a similar height as compressed Danskin Reflex Bearers and provide superior support. Minimum ΔLw 25dB on Annex 5.B concrete floor. Minimum ΔLw 14dB on Annex 5.B timber floor. Where available, refer to Performance Data Sheets for test results on similar constructions.